Officers at a council behind a £2.75m loan, which was defaulted on, raised concerns over alleged conflicts of interest that were not acted upon. An agreement between King's Lynn and West Norfolk Borough Council and Norfolk and Waveney Enterprise Services (NWES) to build an innovation centre "favoured" the agency, a report said. NWES also employed a firm owned by one of its directors to manage the project. The council said the report confirmed "significant procedural failures". 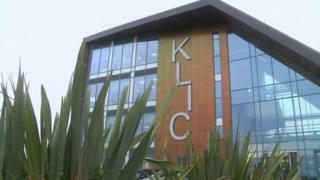 In November NWES defaulted on two council loans, awarded to build the King's Lynn Innovation Centre (Klic). A redacted version of the council's audit report into what went wrong has been published. In January a joint investigation by the BBC and Eastern Daily Press highlighted how the publicly-funded enterprise agency gave contracts worth £900,000 to Nautilus Associates, owned by then NWES strategic director John Balch. The latest report reveals NWES awarded the contract to project-manage the Klic building to Nautilus. The report said: "Officers had concerns about the appointment [...] and these were raised with the council's representatives on the steering group. There is no record in the minutes from the steering group of how the raised concern was addressed." Other failings highlighted include no evidence of due diligence by the council on NWES' accounts prior to the project, drafts of legal agreements that favoured NWES and a "power struggle" on the steering group. Council chief executive Ray Harding said: "This investigation by our audit team has identified problems with our procedures which may not have come to light if the loan had been repaid. "It has also highlighted that we have appropriate legal agreements in place to secure the building into council ownership and to collect the income. "We are in discussions with the current owners of the building regarding the reimbursement to the council of the outstanding loan amount." Labour councillor Charles Joyce has called for an independent investigation, saying the report "looks bad for all involved". NWES' current and former management, including Mr Balch, have been approached for comment.